FANBOY PLANET.com . 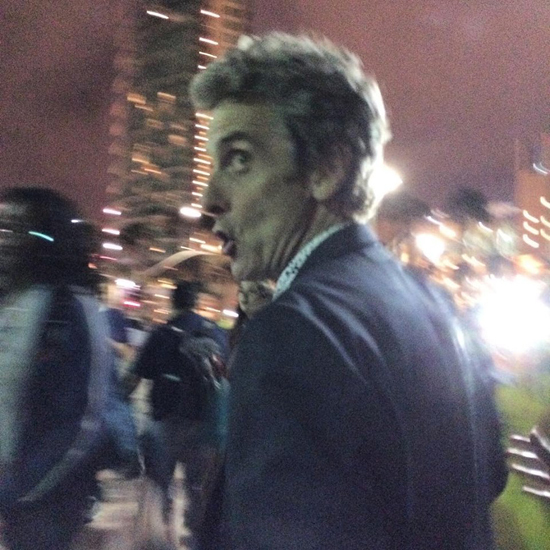 : Doctor-Who-Day-2015 :. Showing some love for a local shop that will be featuring one of our favorite creators -- Richard Starkings, the mastermind behind both Elephantmen and Comicraft, as well as a writer who kept the Doctor Who fandom flame alive in the 80s and 90s. Titan Books, publisher of fine Doctor Who comics and the monthly magazine, has declared August 15 to be Doctor Who Day, and you can celebrate at many of your local shops -- but we're choosing to focus on one at the moment. If you live in the San Francisco Bay Area, you may know that Illusive Comics & Games, where our podcast started, has opened an adjunct shop for gaming -- and now for Gallifreyan Gallivanting. Be there at Isle of Gamers and show your love for the TARDIS. But also, it's a chance to meet others who share this same very important interest. Tell them Fanboy Planet sent you! That's Isle of Gamers, 2740 El Camino Real in Santa Clara, California.